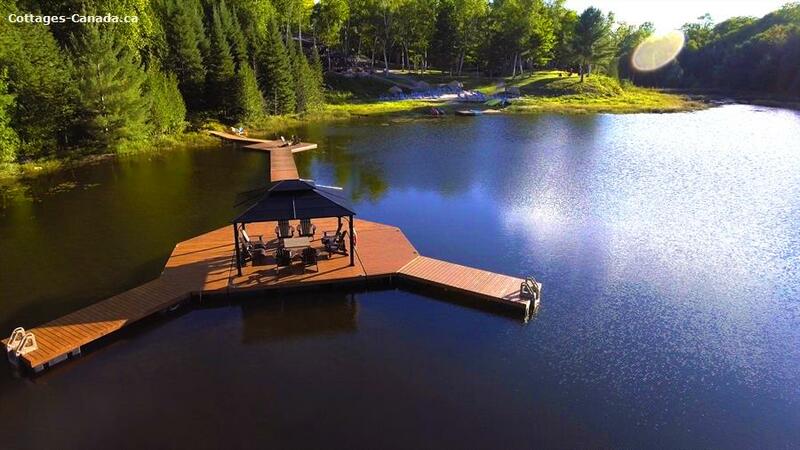 Footprints Couples Resort is a private couples retreat that is Adults Only 21+ and located in the heart of Hastings Highlands, at the southern tip of Algonquin Park. Our boutique resort caters to couples providing a romantic getaway experience you will never forget and is just a few short hours drive from both Toronto and Ottawa. and beach. Rekindle your romantic side in our adult only, child-free environment. Six individual Cedar Villas are available that each include a King bed, a fridge with freezer, 2 piece powder room and private patio with seating and BBQ for personal use. Shared shower facilities are nearby. Fresh bedding is included, but bring your own towels for bathing, swimming, and hot tub. Everything the resort offers is included in your vacation fee, including free parking, firewood for nightly campfires, kayaks, canoes, and all watercraft, use of all communal space (kitchen, BBQs with propane provided, lounge, hot tub, conversation pool, beach). Other accommodation types are also available at Footprints, including Rooms (King, double Queen, or jacuzzi Queen room), Cozy Cabins (1 queen), and some camping available. Pricing depends on season and length of stay. Please contact us for details. Check out our Hot Deals page. Smoking and vaping allowed outdoors in designated areas only. Adults Only, 21+. Absolutely no pets regrettably. Hot Tub on the deck. Free Parking and Firewood for the nightly campfires. Ice Machine available in the Lounge. Shared amenities: kitchen, BBQ's, communal lounge, satellite TV, ice machine, hot tub, conversation pool, private lake, beach, boats, campfires, firewood, and parking included. Per night 142$ - 238$ Rates vary by season. Check our official site for exact pricing. Per week 99$ - 166$ 6 nights Villa pricing, dependent on season. Other Specials available on our official site! Per week - 5 days 85$ - 143$ 4 Night Mid-Week Special. Other Hot Deals available (2 nights Mid week, & Long Weekends). Check our site for Hot Deals! We respect our guests privacy. No Drop Ins. Pre-registration and payment must be complete before arriving at our private location. Exact address will be given upon confirmation.